Frank was raised in a conservative Jewish home in Milwaukee, WI. He came to faith in Messiah Yeshua in 1974 while stationed with the US Air Force in Anchorage, Alaska. He was graduated from Bible College and ordained a Pastor while attending Abbott Loop Christian Center in Anchorage, Alaska. Frank received his discharge from the Air Force after 10 years of service and stayed in Alaska. He founded three businesses while in Alaska until The Lord led him to sell his businesses, leave Alaska and pioneer a church, Grace Christian Fellowship, in Milwaukee in 1981. 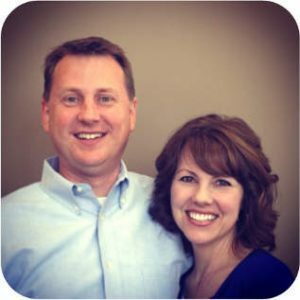 Three congregations have been birthed out of Frank’s ministry at Grace Christian Fellowship. He continued to pursue his education and received his PhD in Counseling Psychology. Frank was the founder and director of a Christian Counseling Clinic in Milwaukee, WI and has received certifications in various counseling techniques. He works with congregations helping to strengthen leadership and ministries including body ministry and conflict resolution. Frank is currently Pastor Emeritus at Grace Christian Fellowship and the Senior Rabbi at Beth Messiah which was founded in 2005 with his oldest son, Jim. 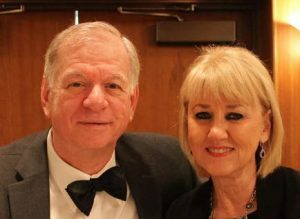 Frank has been married to Patricia for over 45 years. They have four grown children, 11 grandchildren, and one great grandchild. Jim is Assistant Rabbi of Beth Messiah and Lead Pastor of Grace Christian Fellowship. Jim recently retired from Northwestern Mutual as Assistant Director, Meeting Strategy and Operations to assume the Lead Pastor position of Grace Christian Fellowship. Jim has received his MA in Clinical Counseling and is certified from UW Wisconsin in Organizational Design and Talent Management, and Strategy and Organizational Effectiveness. Jim has been an ordained Pastor for over 20 Years and is also assistant Rabbi of Beth Messiah. Jim was instrumental in pioneering Beth Messiah and works closely with his father at both Beth and Grace. He and Lija have been married over 25 years and have two daughters, one son-in-law and grandson Caleb.